Written by John Van Der Kiste, and originally released back in 1986, the 2012 updated e-book version is now available to purchase as a 168 page physical paperback via Amazon. The book traces Roy's career from his early days with Gerry Levene & The Avengers, The Move, Electric Light Orchestra and Wizzard up to recent times and his live performances. Definitely a 'must read' for fans and music lovers alike. The book can be purchased via Amazon UK here. 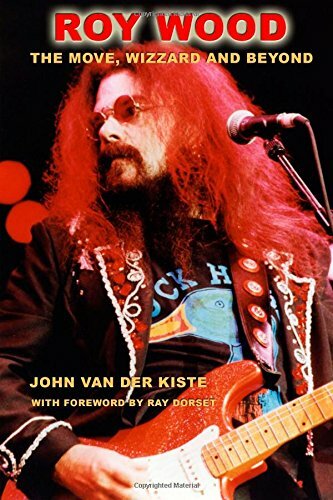 From Amazon UK - "From his early days as guitarist with Mike Sheridan and the Nightriders, Roy Wood was always a major figure on the Birmingham music scene. In 1965 he helped to form The Move, who weathered several line-up changes over the next few years while enjoying a spectacular run of hit singles, notably Flowers In The Rain, the first record ever played on Radio 1, and the No. 1 Blackberry Way. Keen to progress beyond the limitations of a conventional group, he became the co-founder and joint leader of the Electric Light Orchestra with Jeff Lynne. Leaving the band in 1972, he formed the very successful if comparatively shortlived Wizzard, remembered for their No. 1 hit See My Baby Jive and the perennial seasonal favourite I Wish It Could be Christmas Everyday. After they disbanded he maintained a solo career while forming subsequent groups for live performances. The first book to examine his career in detail, it includes a foreword by Ray Dorset of Mungo Jerry, plus an extensive discography and select bibliography." 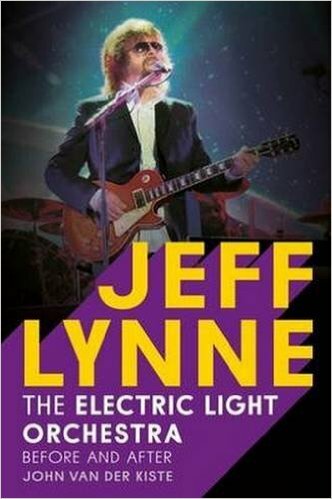 Written by John Van Der Kiste, this book traces Jeff Lynne's career from his early days with The Idle Race, The Move, Electric Light Orchestra and up to recent times and his live performances. Definitely a 'must read' for fans and music lovers alike. From Amazon UK - "Passionate about music from childhood and much-respected as a teenage guitarist in his native Birmingham, Jeff Lynne rose through the ranks of various semi-professional local groups to become the frontman of the critically acclaimed Idle Race in the late 60s. From there he joined the ever-popular Move, then helped form the groundbreaking Electric Light Orchestra. After co-founder Roy Wood left in 1972, Lynne turned what had been a struggling rock and classical fusion into one of Britain s most consistently successful and popular acts. Following a run of hit singles, albums, and sell-out concerts throughout the world, he laid the group to rest in 1986 and combined a solo career as an artist and producer with membership of the ultimate supergroup, the Traveling Wilburys. His production credits include Roy Orbison, Tom Petty, Del Shannon, George Harrison, and even the Beatles on their two final singles in the mid- 90s. Jeff Lynne: The Electric Light Orchestra, Before and After is the first-ever biography of one of the most prolific and highly regarded performers of the last fifty years. Rich in backstage anecdotes of overheated orchestras, frontmen rivalries, tour mishaps, cross-group partnerships, unlikely collaborations, and self-imposed exile from the stage in the quest for inspiration, this book will leave fans and general readers delighted and inspired by a career at the epicentre of twentieth-century rock." "As an ELO fan of 37 years plus, and a major fan of the groups and musicians within the whole BrumBeat circle from the 1960s to the present day, this book was a must-have for me. And I'm absolutely 100% delighted with the exclusive stories, pictures and the fascinating tales Dave has to tell here. Aside from the fact that it's all about my favourite subject, I was very pleased to find it very well-written and a very easy and thoroughly enjoyable read all 'round. Dave is enthusiastic and honest with his story-telling. And this translates onto the page superbly. Apart from Bev Bevan's 'The Electric Light Orchestra Story' (from 1980) I believe this is the only book written by someone who has been a member of ELO. 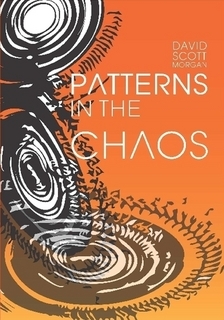 And strictly speaking, Bev's tome wasn't actually an autobiography ...which make's 'Patterns In The Chaos' a pretty unique publication in my view. Fans of The Move, ELO, Steve Gibbons, Jeff Lynne, Magnum and many other Birmingham groups or indeed anyone who has in interest on the inner workings of life in bands or the music-biz as a whole have a great deal to enjoy here. In particular, Dave's stories from ELO's Time Tour and then later working with Jeff Lynne and hanging out with George Harrison etc are a joy. As are his earlier stories from the 60s going back to the formation of The Idle Race and The Move. But there also much here on a deeply personal level too that sets Dave's Rock 'n Roll background into context; his charitable work in Romania, gaining his pilot's licence, becoming a born again Christian and his skill for invention and all round, well ...survival in general! As an ELO follower for a long long time, there were many insights here that were new to me, and lots of exclusive pictures from Dave's personal collection too." The book can be purchased via Amazon and Lulu. 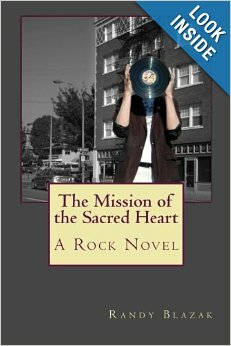 The Mission of the Sacred Heart is a novel that follows a group of young creatives, a homeless girl and a visitor, who may or may not be an alien, through life in Portland, Oregon. Their journey centres around the themes of love and suicide and the crucial question; Why stick around? Randy began writing the book back in 1993 whilst listening to the Electric Light Orchestra album 'A New World Record' and the book has taken over 15 years to complete with lots of references to the E.L.O. The book can be previewed and purchased for Kindle or in paperback form from Amazon. Jane Wilkinson has put together a 38-page book featuring photographs taken during the 'An Evening Without Kelly Groucutt' tribute night at the Robin 2, Bilston on May 11th 2009. 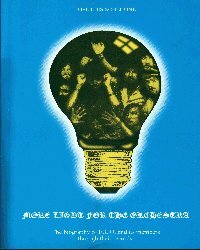 The book has 202 pages with lyrics for all 193 songs by E.L.O., 43 songs by E.L.O. Part 2 and all 14 songs by The Orchestra. The book has full lyrics including the 'secret' backwards messages written in both German and English. 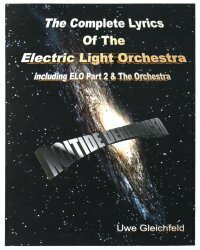 The 'bible' for all ELO fans is finally available. The book consists of 382 A4 sized pages with 80 photos, the complete history of the band and all its members present and past, and a worldwide discography with 1800 7''singles and 2050 albums by ELO and its sideline projects and related artists. The book lists 628 ELO 7'', 44 12'', 648 LPs, 147 CDs and 91 MCs, 248 MOVE 7'' and 148 MOVE albums, as well as 417 Lynne related albums. And more, 300 albums by ELO members and 174 albums by Roy Wood (solo, with his countless bands and related artists) are also listed. Add to that 150 cover versions and 119 records by the members of The Move. There are concert dates, chart positions and a bibliography which lists songbooks, biographies and fanzines by fanclubs. Furthermore, there are 11 pages containing all line-ups of the bands Lynne, Wood and Bevan were in. About 18 pages are devoted to a videography which lists all music videos, the films, the complete promo clips and all TV-shows that have ever been transferred to video! On more than 130 pages the complete history of the band is told in chronological order: Roy Wood, Jeff Lynne and Bev Bevan - their roots, their history with THE MOVE and THE ELECTRIC LIGHT ORCHESTRA and its leaves until 1996, for the first time in an accurate version - thanks to a dedicated research and the kind help of band members involved! 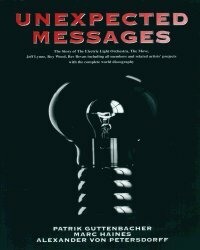 UNEXPECTED MESSAGES has been published as an international release and has been written entirely in English. More details can be found at FTM Germany's website here or e-mail author Marc Haines at Marc_Haines@surfeu.de . The biography of E.L.O., before, during and later, includes the work of their solo members, related through their records. It's the product of 10 years work, by Jose Luis Schenone. This book has 230 pages with full colour photos. Jose can be contacted via his Wild West Hero blog.